Huawei is set to take the wraps off its flagship P30 series on March 26 at a global event in Paris. We will be there on the ground to check out what the tech giant has to offer in the high end this year, so stay tuned for our coverage from the French capital next week. But in the meantime, below are some of the specs and features to expect when the Huawei P30 and P30 Pro show up in the mainstream market, at least based on what we’ve seen and heard so far. It also bears noting that a bunch of new leaks have corroborated all that we know about the phones. The latest renders, this time courtesy of Huawei’s own website, confirm that the smartphones will look similar to one another but not exactly identical. Both will get a tiny, teardrop-style notch above the display on the front, while the glass panel on the back should include at least three cameras, with the Huawei P30 Pro getting an extra time-of-flight sensor that will power the device’s AR and depth-sensing capabilities. Both also don’t show a physical fingerprint sensor on the front and rear panels, which suggests an under-display reader is in the offing. There are reportedly three color options available for the P30 — Aurora, Twilight, and Midnight Black. Meanwhile, the Pro model could come in as many as four colors, with Sunrise Red being the fourth option. It should come in Aurora, Twilight, and Midnight Black, too. Display sizes will vary, and the P30 is expected to sport a 6.1-inch OLED, whereas the Huawei P30 Pro will likely step up to 6.47 inches while sticking to OLED as well. The resolution of both screens is said to be 2,340 x 1,080, which isn’t a notable upgrade from last year, though the smaller bezels will certainly be appreciated, especially on the higher-end variant. SEE ALSO: Bye, LG, BOE. 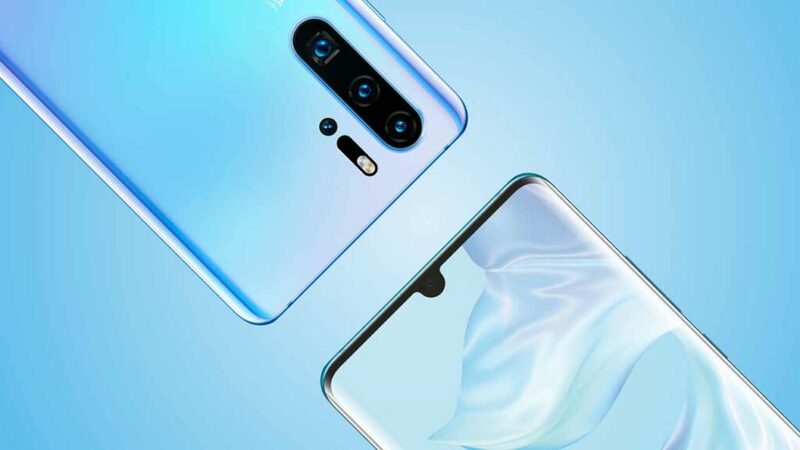 Huawei P30 series gets Samsung AMOLED display? Another big difference is that the P30 Pro, like the Huawei Mate 20 Pro, has a curved display that all but does away with the idea of a side bezel, whereas the regular P30 only has rounded screen corners. But regardless of which handset you end up buying, it’s likely to support HDR10, the HDR format used pervasively across the TV industry, for better and more extensive color reproduction. 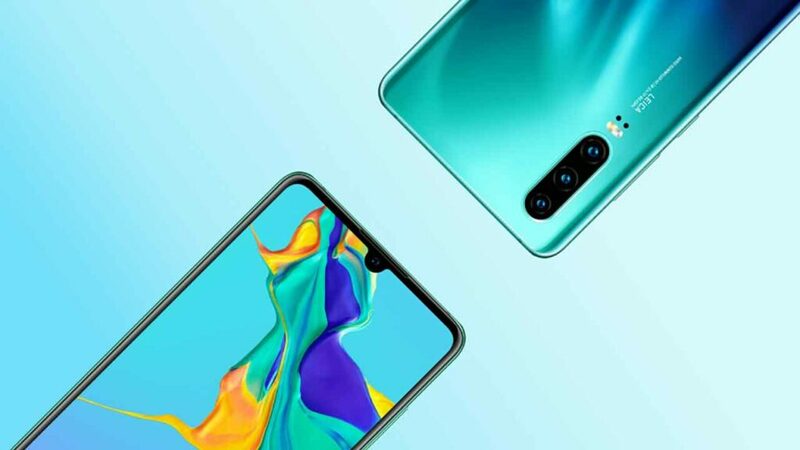 The Huawei P30 and P30 Pro should adopt the same three-sensor camera system the company debuted in the Mate 20 line, according to reports. The P30 will supposedly carry a 40-megapixel, f/1.8 main camera paired with a 16-megapixel, f/2.2 ultra-wide-angle camera and an 8-megapixel zoom camera that provides up to 5x hybrid zoom. The P30 Pro, on the other hand, will reportedly have a 40-megapixel, f/1.6 camera with optical image stabilization for regular shots; a 20-megapixel, f/2.2 ultra-wide-angle option; and an 8-megapixel telephoto shooter capable of 7.8x optical zoom and 10x hybrid zoom. On top of that, the Pro packs a time-of-flight sensor on the back, a first for a Huawei phone. Huawei P30 Pro’s camera features. Dual-view video coming soon! Inside, we’re looking at the same 7-nanometer Kirin 980 spec that debuted with the Mate 20 handsets. That octa-core processor will likely be paired with 6GB RAM and 128GB of storage in the P30, while the Pro version is widely expected to launch with 8GB RAM and 128/256/512GB storage. Both devices could also offer expandable memory via Huawei’s proprietary nano-memory card should you need more space. The P30, being the smaller, more compact device, might pack a 3,650mAh battery compared with the rumored 4,200mAh cell in the P30 Pro. That’s fine, though, because both phones should support fast wired charging, and perhaps even quick wireless charging that goes up to 15 watts. Obviously, nothing is official until it’s Launch Day Official, but reports say the Huawei P30 could retail at €749, or approximately P44,496 or $847. The Huawei P30 Pro, on the other hand, might get a base price of €999 (P59,348 or $1,130). Pricing for the European market is usually higher than in most other parts of the world, so it’s possible the phones could be priced much lower than expected. In the Philippines, the Huawei P20 and P20 Pro sold for P34,990 ($667) and P44,990 ($857) at launch last year. 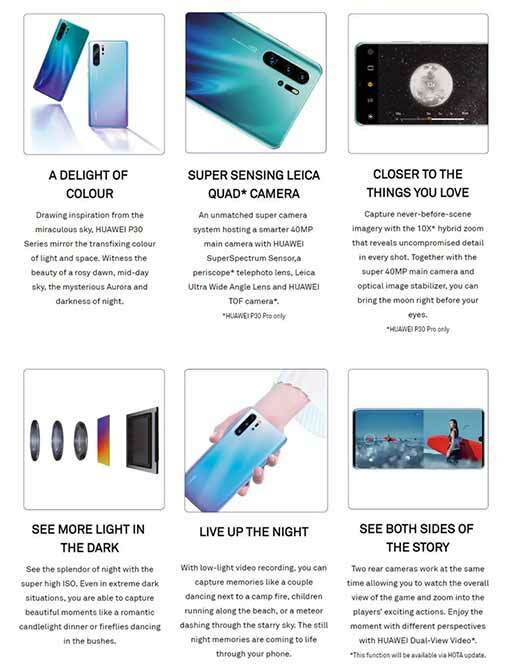 Local preorders for the P20 series went live in April 2018, a month after their debut. 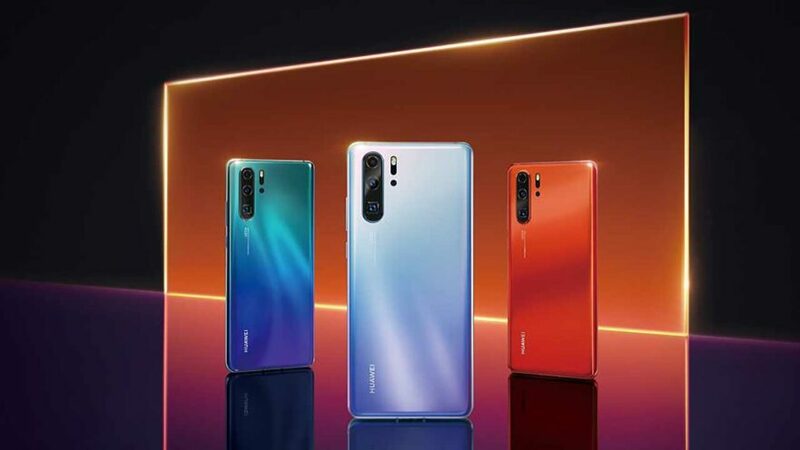 Will that also be the case with the Huawei P30 and P30 Pro, considering that in places like Singapore, they will be introduced to the public on April 8? Check back with us next week to find out.